Anyone who assumes that hospital gift stores are simply a good place to pick up a magazine, plush toy or perhaps a flower bouquet needs to take a closer look. 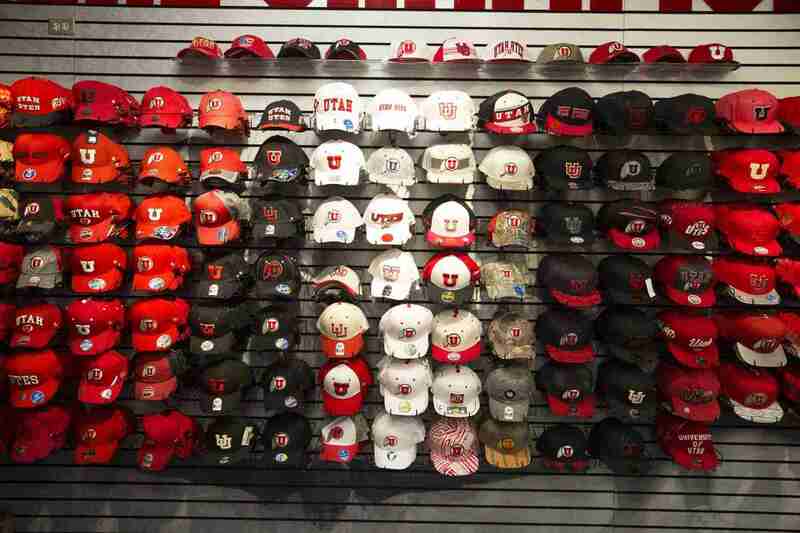 The depth of carefully curated merchandise in many of these retail establishments is actually quite astounding. Four hospital shops in select communities across the country identify some of their top-selling apparel and accessory items – because, yes, fashion is thriving in clinical settings. A wall apparel display at The Tree House Gift Shop at Advocate Sherman Hospital in Elgin, Ill. The shop has a boutique vibe. The Tree House Gift Shop at Advocate Sherman Hospital in Elgin, Ill., has such a boutique vibe it could cause shoppers to do a double take. 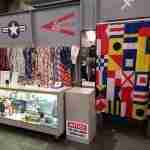 Tunics are in vogue at the moment and this 2,000-square-foot shop offers a wide selection. 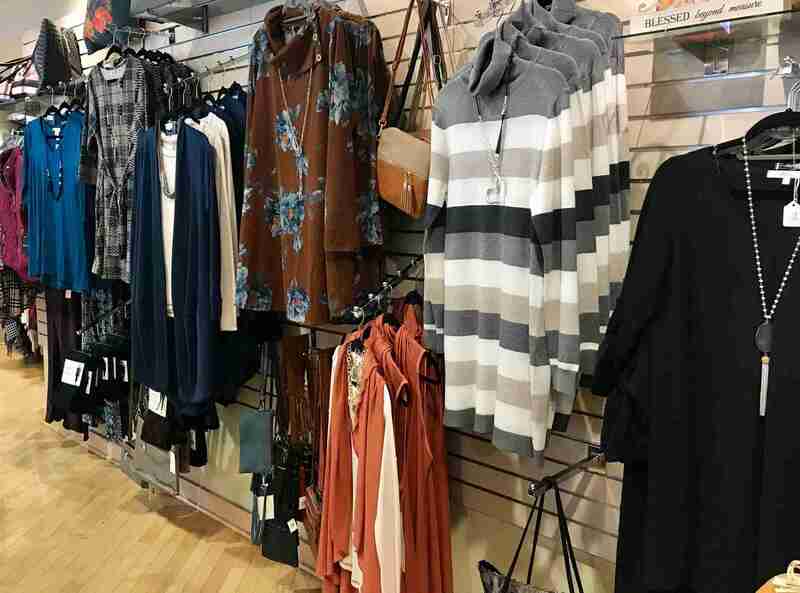 These casual fashion shirts and toppers are currently leading sales, according to Gift Shop Supervisor and Buyer Kathy Rosenberg. “We also sell a ton of capes in the fall,” she said. Fashion accessories are plentiful at The Tree House as well – gloves, purses, scarves, plus an eye-catching array of best-selling jewelry. Rosenberg takes the time to accentuate almost every apparel item on display with a necklace. “It helps boost clothing sales plus it shows the necklaces off to better advantage,” she said. Since Advocate Sherman Hospital is the only hospital in Elgin, Ill., that delivers babies, The Tree House Gift Shop also has a big baby section. Onesies and stuffed animals fly out the door plus the store does a brisk business in arts and crafts type toys. “If people are waiting in the ER or visiting patients and children have tagged along, they’ll run over here and pick up some busy toys to keep the kids occupied,” Rosenberg concluded. A holiday-themed display at The Tree House Gift Shop at Advocate Sherman Hospital. The store sells tons of capes in the fall. The Rose Gift Shop features a range of five-dollar jewelry from a supplier who focuses on department store overruns. 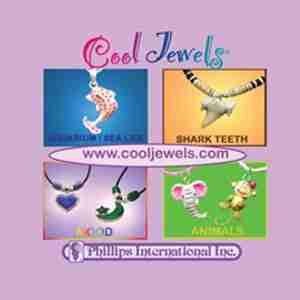 “It is a particularly good deal for us because the jewelry is all on consignment. He’ll send us 300 pieces and pay the freight in and out,” Peacock explained. Customers stepping into the 1,100-square-foot store can’t help but notice the baubles which are centralized on a table just inside the front door. It is a good bet the shop’s attractive window display drew patrons inside in the first place. “I have a huge window which invites window shopping. All my apparel is in the front of the store and visible through the window. It’s there for a reason – because it draws female shoppers in,” Peacock concluded. A Simply Noelle poncho/infinity scarf combination with a Charlie Paige necklace at the Providence Corner Gift Shop. 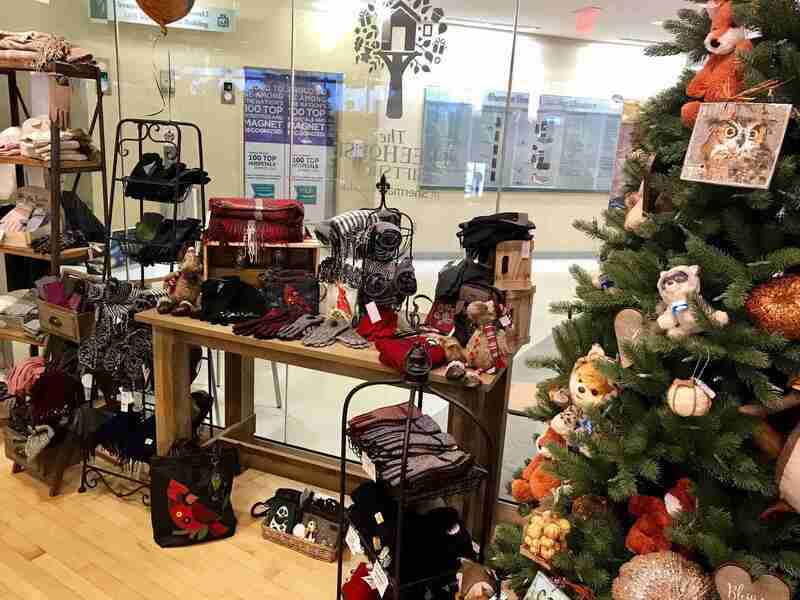 The Glenbrook Hospital Gift Shop in Glenview, Ill., is one of four gift shops that operates within the NorthShore University HealthSystem. “Hospital gift shops aren’t what they used to be – a place people went to pick up flowers and candy. Now they’re really boutique-y, with jewelry and clothing. 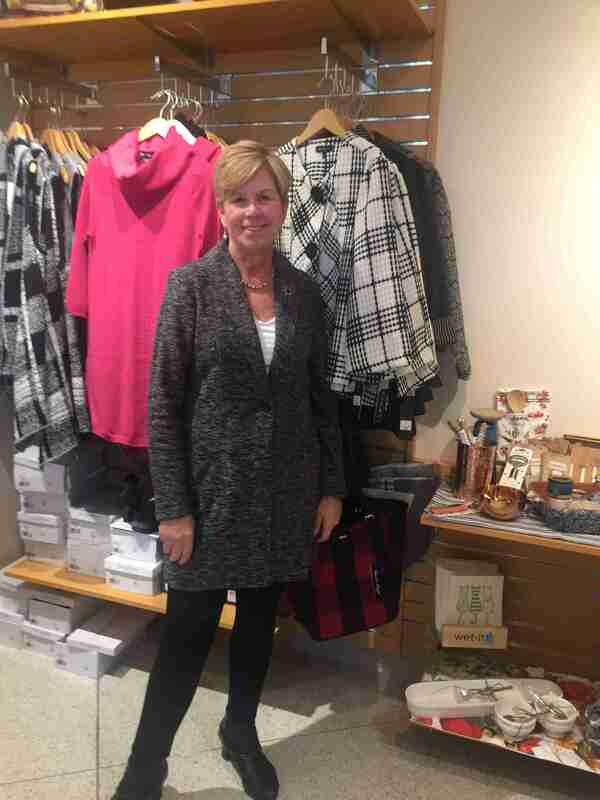 Clothing is probably 46 percent of my business,” said Gift Shop Manager and Buyer Pat Feldheim. Her 1,800-square-foot store sells a lot of casual and business casual attire, although certain styles have proved appropriate enough for customers to purchase and wear to weddings. 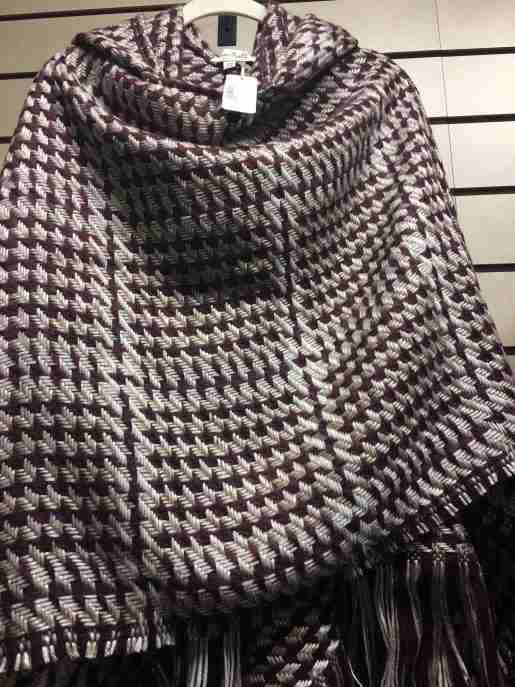 Scarves, gloves, and hats rank among Glenbrook Hospital Gift Shop’s top-selling accessories. Customers will also find jewelry, purses, shoes and boots, pajamas and slippers. 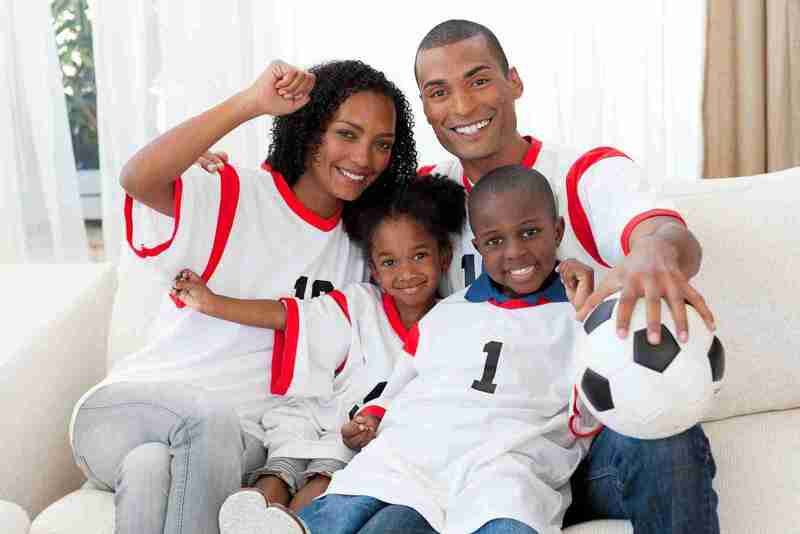 “We carry quite a few Canadian lines and we feature local. I’m big into trying to help our local artists and designers. I think it’s important, plus we’re always looking for Made-in-the-U.S.A. items,” Feldheim said. She also always likes to give credit to her hard-working corps of approximately 24 volunteers who contribute to the gift shop’s ongoing success. 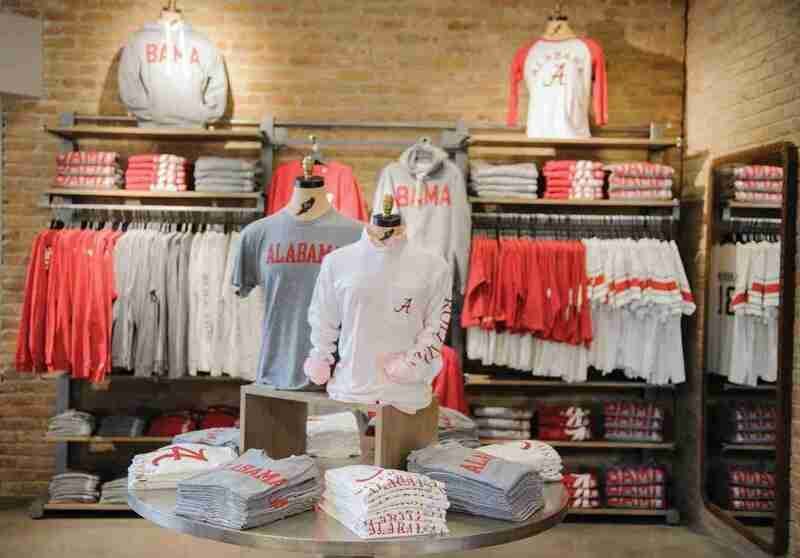 Two in particular are responsible for the store’s inventive merchandise displays and put in about 60 hours of unpaid labor a month. Pat Feldman, gift shop manager, Glenbrook Hospital Gift Shop, Glenview, Ill., part of the North Shore University Health System. Scarves, gloves, and hats rank among the shop’s top-selling accessories. When the cold winds blow, the demand for knitted wear rises at Providence Corner Gift Shop inside Providence St. Peter Hospital in Olympia, Wash. “I’ve just put out my third refresh of texting gloves – a style that features rubber textured tips – and it’s only been a week!” exclaimed Gift Shop Manager and Buyer Karen Burton. Knitted vests and hats, finger-less gloves (also known as hand-warmers) are also popular as are ponchos and wraps by Charlie Paige for Giftcraft and Simply Noelle. “The Simply Noelle knitted items are SO soft. 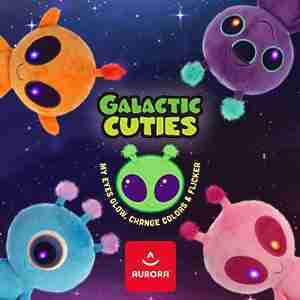 People just touch them and they are sold,” Burton continued. 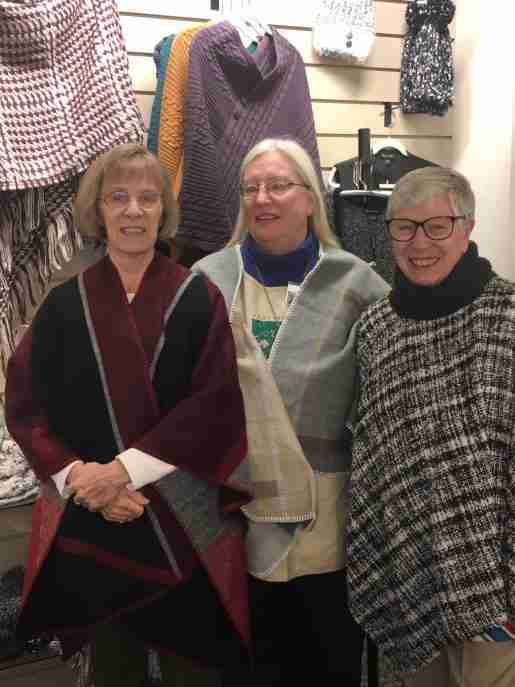 The company features a knitted infinity scarf that converts to a poncho and it is currently doing very well for the approximately 800-square-foot store. 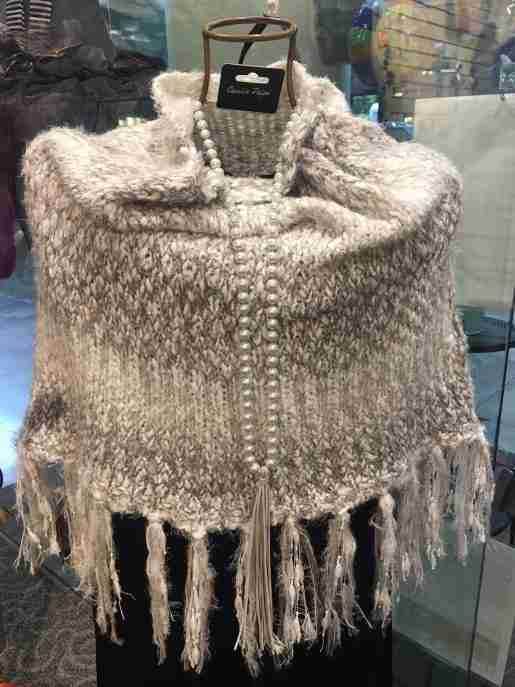 It’s a heavier knit scarf with fringe but all a customer has to do is pull it down over her shoulders and voila! It’s a poncho! A Simply Noelle wrap featured in the Providence Corner Gift Shop. Snoozies brand slippers find plenty of fans at Providence Corner Gift Shop and Burton has high expectations for the company’s Sherpa Socks this holiday season. “I tell you, every single year, I run out of those Snoozies before the actual holiday!” She believes wholeheartedly in product display as a device to sell more apparel and accessories. The gift shop has a really large wall directly across from their primary register and when customers come in for their snack and drinks, they can’t help but notice it. Eye-catching apparel styles and accessories are featured there plus a handsome coat rack stands alongside holding one of everything that is on the wall. Customers are able to touch and feel because tactile power should never be underestimated.